Data is from the February 2015 eBay survey conducted by YouGov. 307 small-business owners in Great Britain were surveyed during January 30-February 9, 2015. 303 respondents' work was mainly focused in Great Britain while 4 respondents' work was mainly outside Great Britain. 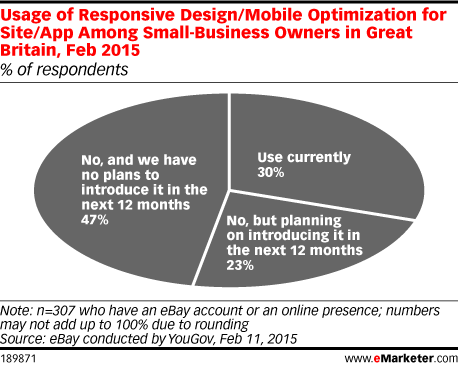 All respondents were owners of small businesses with an eBay account or other online presence.